The 'Canadian Gateway to the Yukon', Watson Lake, was founded by a trapper who settled there in 1898. The city is built on Kaska-Dene Indian territory where trading posts were erected and abandoned. A new trading post and store was later built. Today, the city is an important center for mining and lodging, and for transportation, communication and distribution along the Alaska Highway. 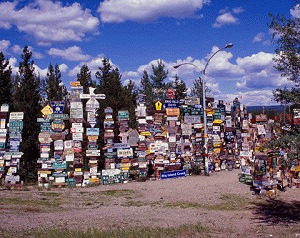 The construction of the Alaska Highway created what is now a vibrant tourist attraction, the Watson Lake Signpost Forest. In 1942, in order to appease his homesickness, an Illinois soldier and member of the highway's construction team erected a sign showing the distance and direction to his hometown. Several others followed, and now signs to 30,000 global destinations can be seen. The Yukon is a prime destination for those seeking an unparalleled view of the Northern Lights at The Northern Lights Centre, with a planetarium-type theatre that takes you on an exploration of the Northern Lights several times daily in the summer. Book accommodations in Watson Lake, the arrival point on your trip north to the Yukon.